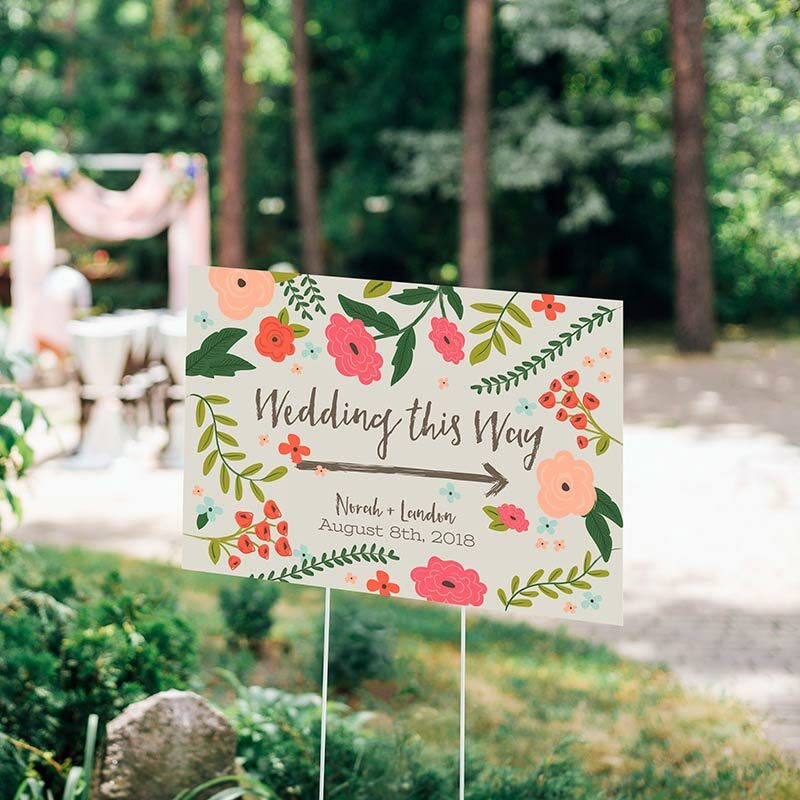 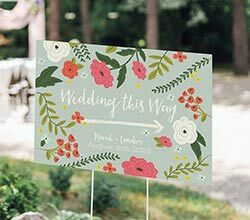 In mint or in grey, a Kate Aspen Vintage Personalized Directional Wedding Sign uses a retro floral design to catch the eye of your guests and send them in the right direction for your big day. The sign measures 12"h x 18"w, and attaches to any chosen ground using an included wire stand for optimal visibility. 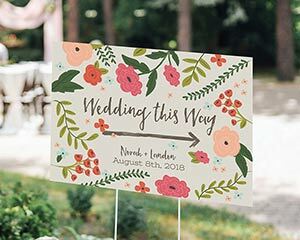 You names and event date rest on two personalized lines at the bottom of your chosen sign, making this the perfect framed keepsake after the wedding is over!